Peacefully, at the Chapman House Hospice, Owen Sound on Friday, March 15, 2019 in her 88th year. Jean, beloved wife of the late Ron. Loving mother of Paul and his wife Terri-Anne, and Susan and her husband Jeff Breen all of Owen Sound. Proud grandmother of Aaron, Dylan (Ashley), Derek (Jennifer), Amanda, Kelsey, Owen, Garrett (Mana), and Sara (James), and great grandmother of Ember and Aidyn. Predeceased by her infant sister Marie Scholes. 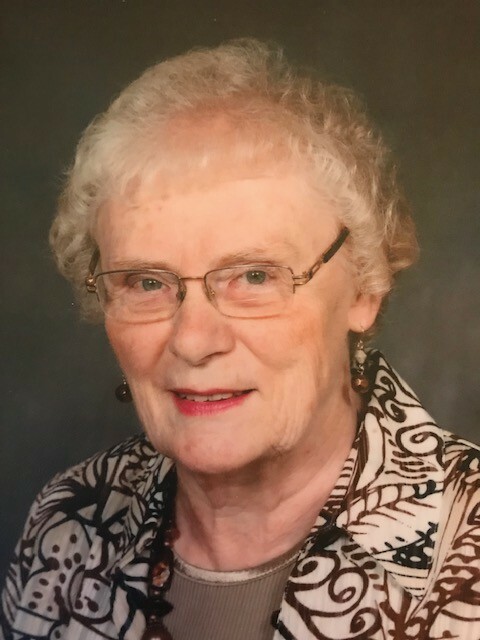 Friends will be received on Saturday, March 23, 2019 from 1:00pm until the time of the memorial service at 2:00pm at the Tannahill Funeral Home, 1178 4th Ave West, Owen Sound, 519-376-3710. Memorial donations to the Chapman House Hospice, Heart and Stroke Foundation or the Canadian Cancer Society would be appreciated by the family.